I knew when I accepted an invitation to visit Hull University‘s campus “to help with induction week” that my usual place in the university guest house would probably be booked. What I didn’t appreciate was that the entirety of North Hull would be booked. Where some people see problems, I see opportunities. As a cyclist, a cycling advocate and indeed a sustainable travel advocate I was keen to see how far Hull had come since I left in 2011, so I booked a hotel near the bus station, about 2 miles from campus and started investigating bicycle hire. Initial impressions were great, Hull Cycle Hub provides secure, 24hr access cycle storage for £1 a day and it hires bikes for £3.50 a day. The service desk is open from 8am to 3pm every day – if you want access outside these hours you need to pick up a card. These hours are fine for people arriving in Hull but I can imagine it might be difficult for some people to return the bike or the card because they’ll be leaving Hull later than 3pm. Nevertheless Hull Cycle Hub is a great facility, especially as it’s right in the train and bus station and that’s right in the centre of town. I had a problem though – although you can get from Suffolk to Hull via train it’s cheaper and faster to hire a car (seriously). The university is the most convenient pick up and drop off point for hire cars and it’s 2 miles out of town. So it actually worked out most practical if I hired a bike from Hull University’s Bike Hub rather than the central Cycle Hub. So on my way in to Hull I picked up a 24 hour access card (£10 refundable deposit) from the Cycle Hub then once I arrived in campus made my way to the Bike Hub. I happily bounded in and announced that I’d like to hire a bike for a week. “Oh,” replied the chap behind the desk, “We’re having to prioritise 3 month hires at the moment I’m afraid.” Now I can understand this in induction week, but it should have been mentioned on the web site and in their other publicity material. Once I explained that I was only in Hull for a week and that I needed the bike to get to and from the university however Adam – who runs the Bike Hub – dug me out a suitable bike. So I handed over £70 cash (refundable deposit) plus the hire fee and we sorted some basic paperwork out and then I noticed a problem. It’s a problem that I actually find with a lot of sustainable travel but particularly cycle places, the opening hours. They’re not open on Fridays, so a week’s hire means Monday to Monday. Unfortunately I wasn’t going to be there on Monday, so if I wanted my deposit back I’d have to return the bike on Thursday. I could deal with that – the bus service to and from the university is actually pretty good. So I got the bike and rode off. Now, I have to say at this point that £5 per week is extremely cheap for bicycle hire (and £30 for 3 months is an absolute steal). So I was trying to manage my expectations with regard to the bike. It was OK. It was well enough maintained, but there were a few little niggles; the saddle wasn’t comfortable for me; the front brake was a bit jerky; the chain-ring shifter wasn’t indexed and the chain occasionally hopped off the top sprocket onto number 2 all by itself. Overall though, for a bike that was clearly 10% or less of the cost of the bikes I usually ride, it was acceptable. You do get what you pay for and I absolutely can’t fault the value for money. Overall it was a decent enough run-about, I was happy to ride it the 2 miles or so from Cycle Hub in town to the university and back. A change of saddle and a couple on minor upgrades and it would have made a perfectly serviceable commuter bike. I had quite forgotten what cycling in a city was like – so many cars all trying to get somewhere fast, so many that all they do is cause congestion. There was a great poster I saw in the Netherlands, it said “You are not in traffic, you are traffic”. By day two I was used to it again and could relax. The cycle routes between town and the university don’t seem to have changed much, they still rank as pretty good. There are on road cycle lanes and bus lanes you can use for most of the way. So time came for me to give the bike back. This all went well until I had to get my deposit back. Now, for entirely understandable reasons Bike Hub doesn’t keep much cash, in order to get a refund you have to go to the university’s cash office. This itself isn’t a problem. The problem is that Bike Hub can’t authorise payments. So you have to fill in a form that then had to be signed by two people in the Estates office. That takes time and is not the sort of thing that most people would want to be running around trying to do on their last day of term. Surely there has to be a better way? So now without a bike I hoped on a bus back to the city centre. This was entirely straightforward, the bus was clean, comfortable and quick. 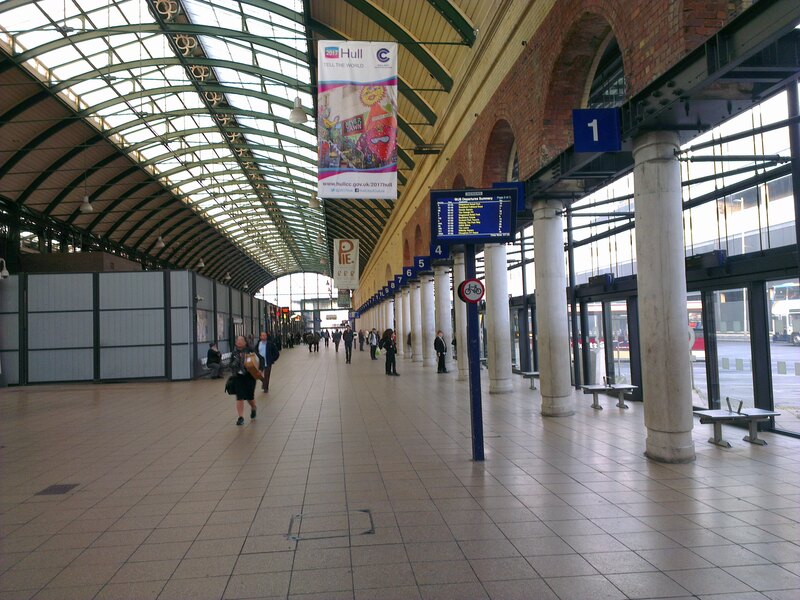 At this point I have to mention Hull Paragon Interchange, the combined bus and rail station in the centre of Hull. This is a really good facility and works very efficiently. It’s easy to see the bus and train services at a glance and get to the right place without confusion. Every urban centre should have one of these. Hull Cycle Hub has the potential to make a real impact to cycling in Hull, at the moment however it appears to be much under-used. 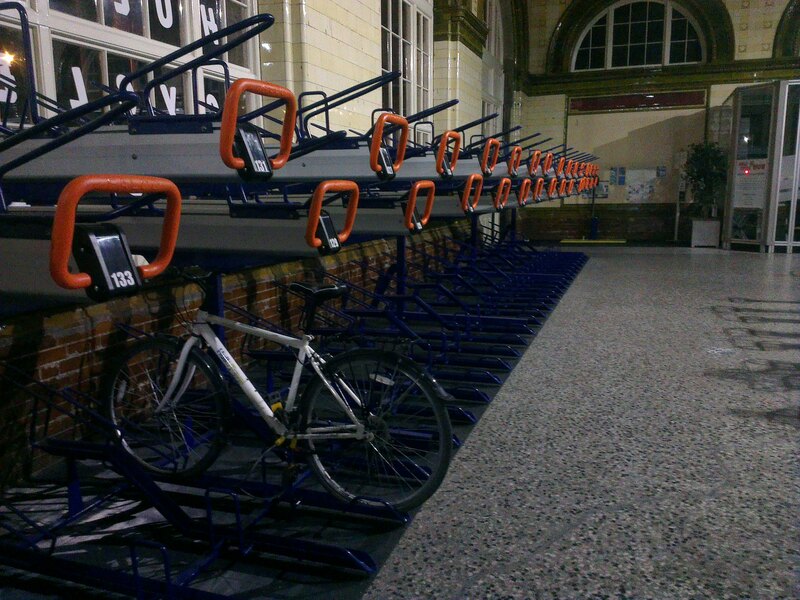 The Bike Hub at Hull University does very cheap bike hire, but you get what you pay for. The bikes could be better, the opening times are a bit limiting and the bureaucracy to get your deposit back is highly irritating. However, having said this it’s still exceptional value for money. The buses are the real winner here – they’re clean, comfortable and efficient. If I were in exactly this situation again I’d probably buy a one week ticket and forget about bike hire. Having said this, I think next time I would try to arrange to pick up and drop off the hire car in Hull City Centre. If I could do that then Cycle Hub could provide everything I needed. I’m fortunate in that I could return the bike on Friday before their 3pm closing time – that I think might be the sticking point for most people. This is something I find with a lot of cycle facilities and it really irritates me – the service is good but the opening hours just aren’t practical for people with regular jobs. This is an area that we really need to work on. 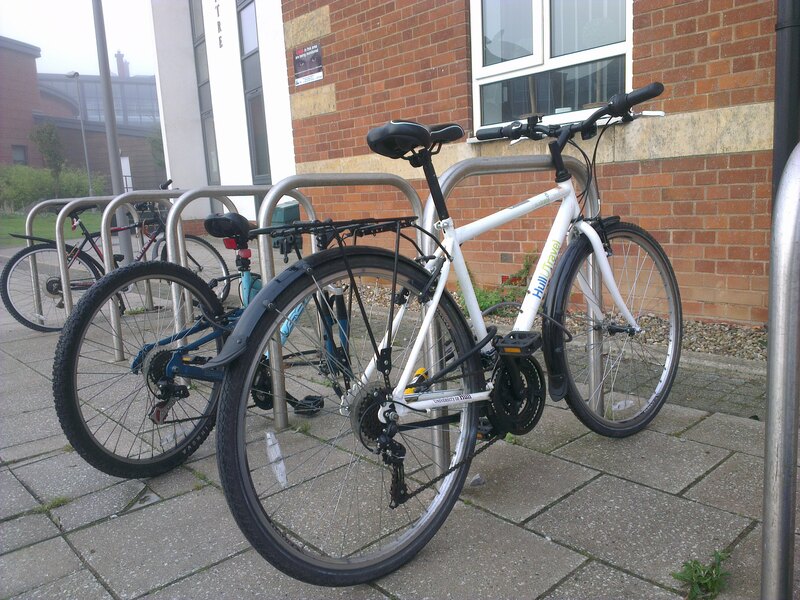 You can read more about Hull University’s sustainable travel initiative on their web site. This entry was posted in Uncategorized on 2015-10-13 by Tom Fosdick.